The spacious 110,000 square foot main Clubhouse is designed in a tropical style with an interplay of levels within the building and between the external terraces to create dynamic spaces that flow into each other. The Clubhouse comprises a high-ceiling lobby with serene water features, air-conditioned Registration & Pro-Shop, luxurious Changing Rooms, Jacuzzis, Sauna, Steam Rooms, Halal Legends Court Chinese Restaurant, and the large and airy Legends Terrace. It also features a two-level observation deck offering a panoramic view of the club grounds in the Legends Lounge, and event facilities in the form of the Legends Ballroom and Function Rooms. The Resort offers other recreation facilities including a Jack Nicklaus-designed natural turf Driving Range, Putting Green, Beginner's Course, Free-form Pool, Reading & Recreation Room, and a Pool Table in the Legends Terrace. It also features Mountain Biking and Lake Fishing. 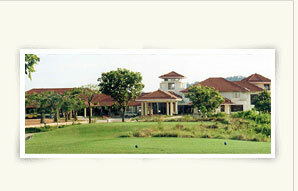 The Legends Golf & Country Resort rises like a serene oasis surrounded by lush, wide-open and hilly spaces. Outdoor lovers will enjoy the opportunities for fun and discovery at the many plantations trails there. Awaken your senses with a leisurely jungle trek or get upclose to Mother Nature by exploring the hills of Sedenak on mountain bikes. The abundant greenery wildlife will not disappoint. The Palmer Fishing Lake, part of the Arnold Palmer Course was opened to enthusiastic response. The Fishing Lake has an attap-roofed jetty to provide shade and a rustic kelong-like feel. Rods and reels are available for rent, and bait is on sale so anglers can really come empty-handed. Of course, they are most welcome to bring their own “Sure Catch” gear!